Cream butter and sugar on medium speed. Lower speed and add eggs. When eggs are mixed in, add the rest of the ingredients. Do not overmix. Chill dough for 3-4 hours, dough will last up to 3 days in the fridge. 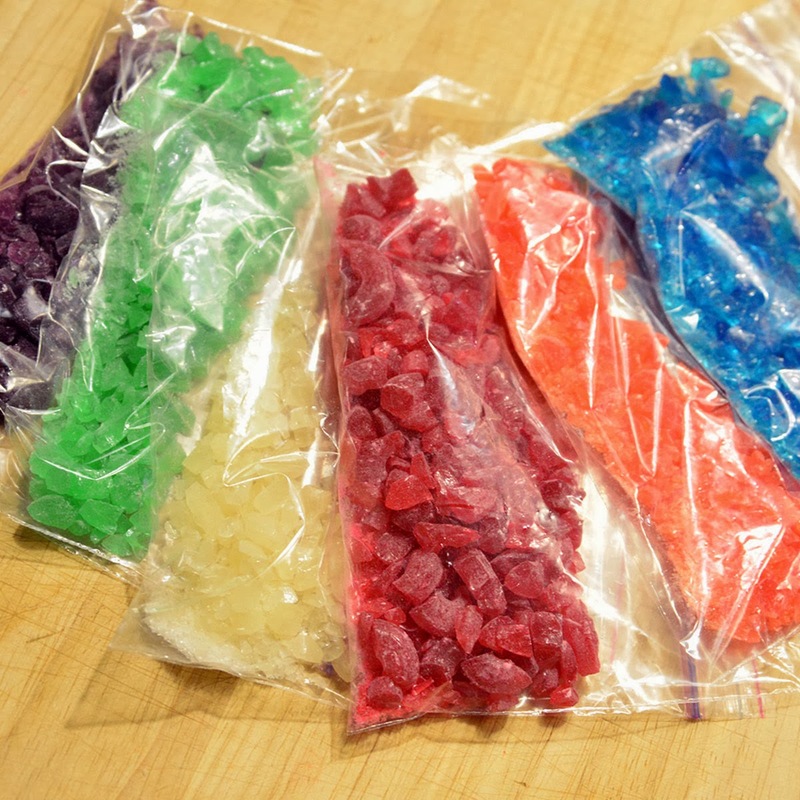 While the dough is chilling, unwrap 5-10 of each color candy and separate them by color into plastic bags. You will not need all the candies, but you do need to get extra candy to have enough of each color. 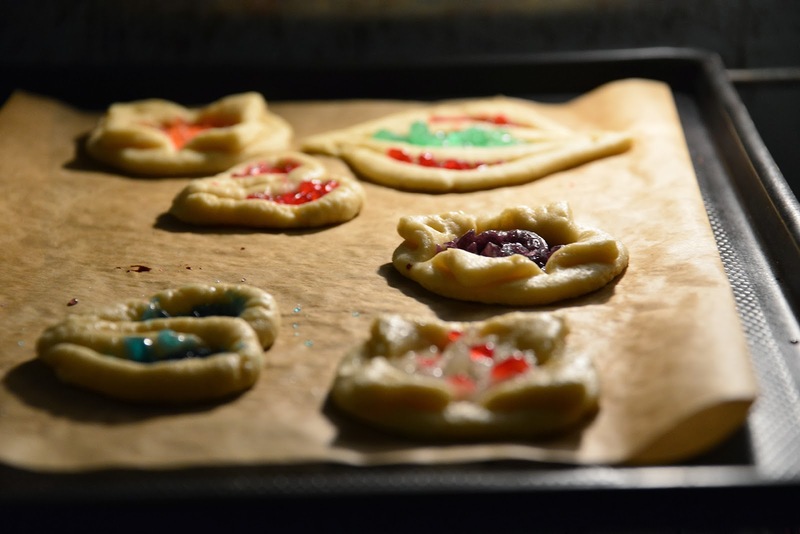 When the dough is chilled, take it out of the fridge and preheat the oven to 350°. Roll out the dough so that it is about 1/8 inch thick, you may need to sprinkle extra flour on your work surface to ensure that it doesn't stick. 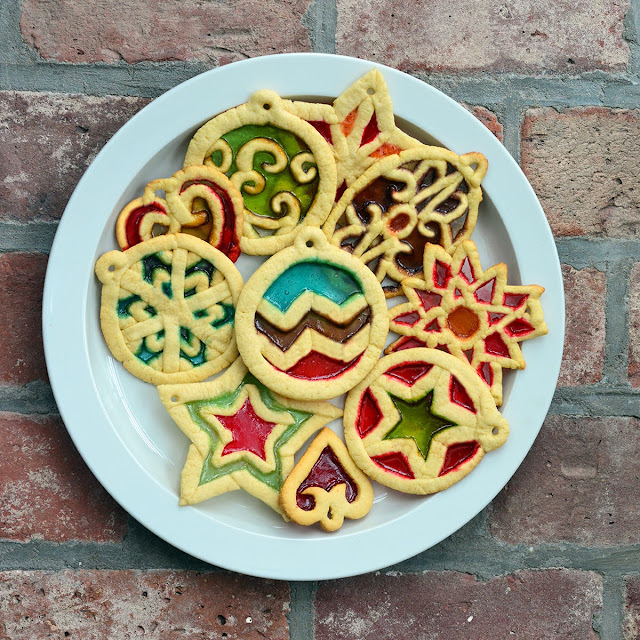 From here, you can make your cookies in a few different ways. 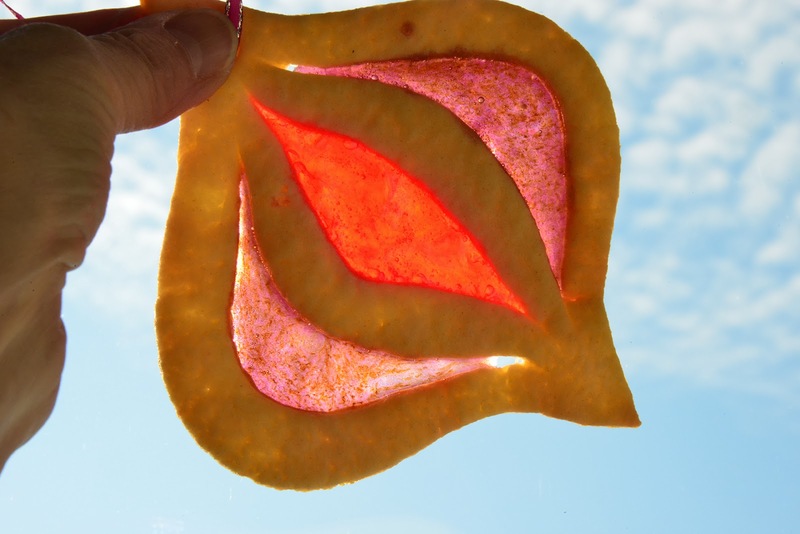 If you want to make intricate shapes, cut the dough into 1/4 inch strips. These strips can be made into any shape but it is important to make sure all the areas you want to color are surrounded by dough. I wanted to make mine all the same size, so I drew shapes and printed them out. Then I put them under the parchment paper and traced them with the strips of dough. 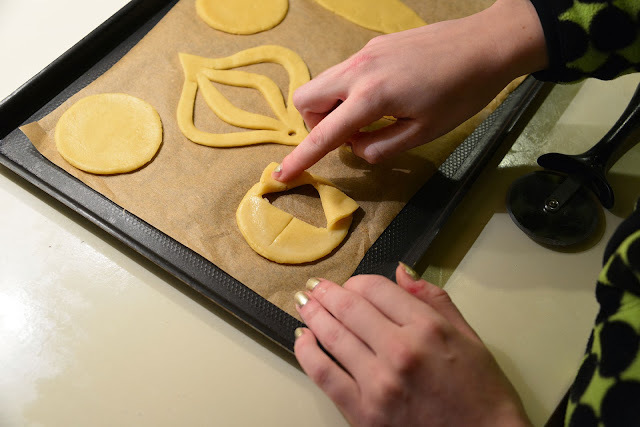 If you try this, remove the paper before baking. 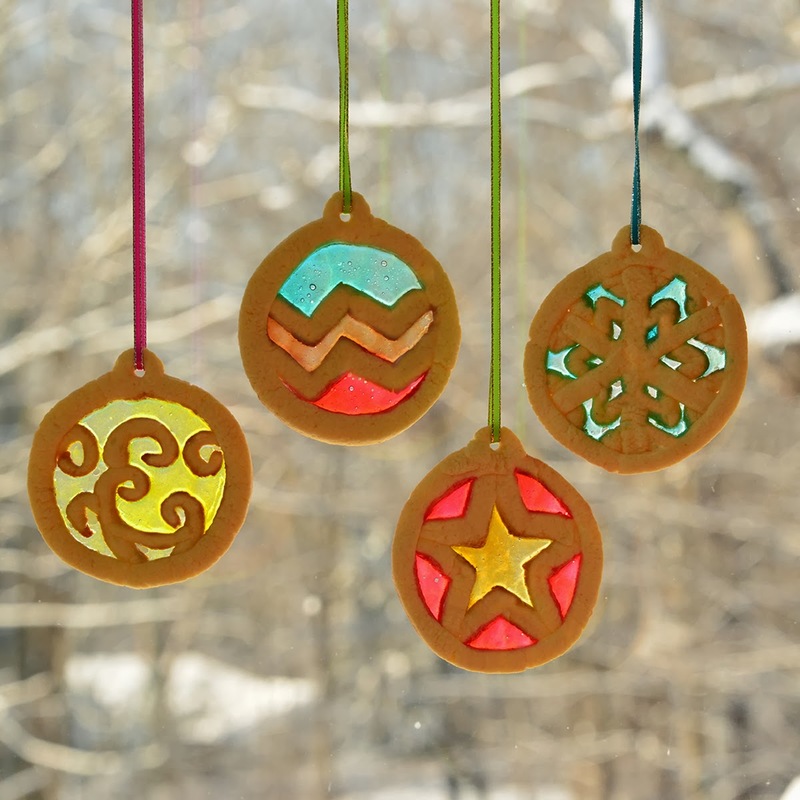 You can download a printable PDF of my files for circular shapes, curly shapes, windows, and stars. 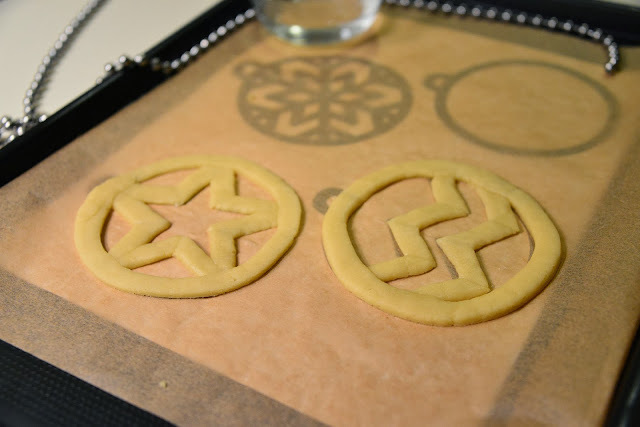 If you want to make cookies that are a little faster to make, you can follow the images below to get ornament and wreath shapes. 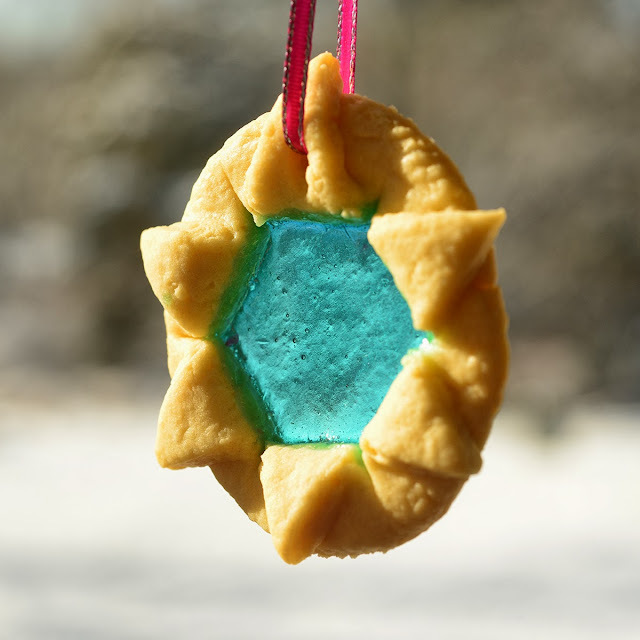 I made some with 3 cuts to make a star shape. 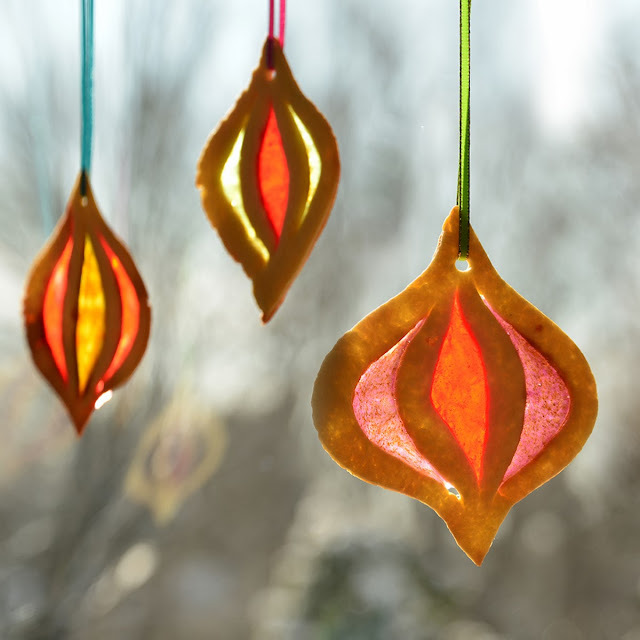 These came out beautifully and would make great ornaments. Whichever method you end up using, They are all baked the same way. Put the cookies in the preheated oven for 3 minutes. 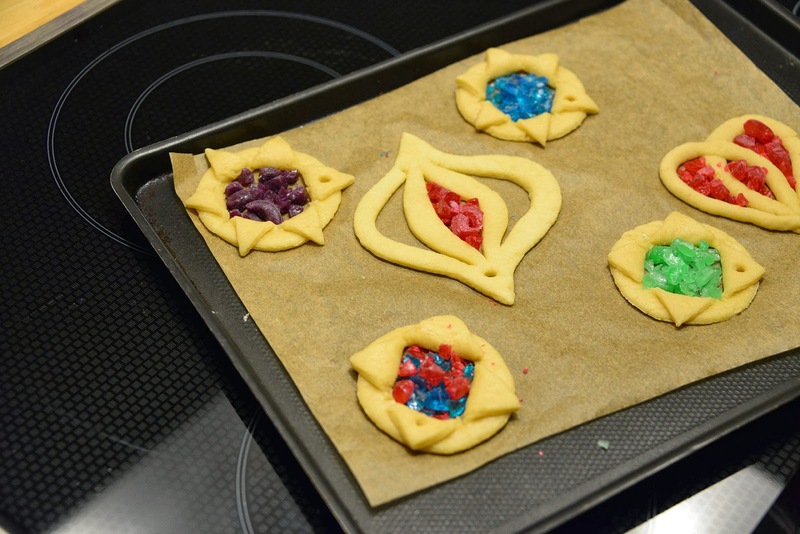 Take the cookies out, and carefully fill each hole with candy pieces. Bake for another 8 minutes, the candy will start to bubble, but will not burn. Do not remove the cookies from the cookie sheets until they are cool because you will ruin the melted candy and could burn yourelf.